While road-tripping from Maryland to Virginia, we stopped for gas at Royal Farms, and I couldn't help but notice the "World-Famous Chicken" signs. 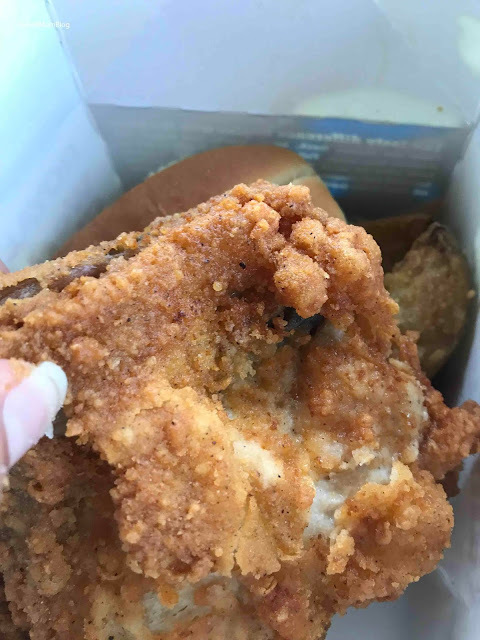 Curious, I did a quick Google search and found that Food and Wine Magazine noted Royal Farms as having the "best fast-food fried chicken a la gas station." So I went in to order some! Lots of people were ordering huge bags and boxes of chicken to go, so I figured they really must be good! 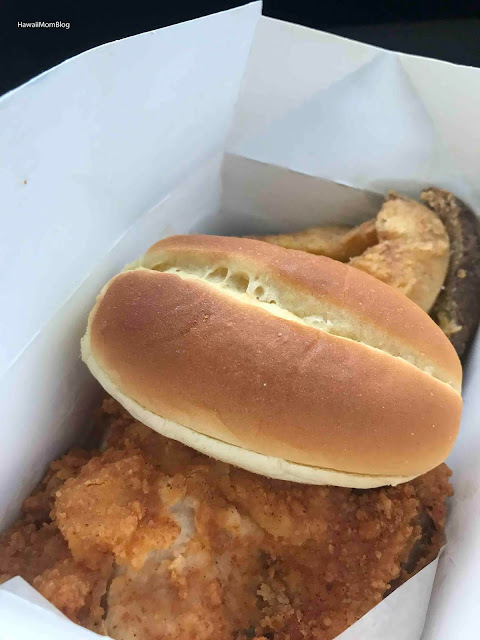 I ordered a $5 box, which included 2 pieces of chicken (white, dark, or tenders), Western Fries, and a roll. The chicken was really good! Crispy skin, juicy meat - and together with the fries and roll - it was a perfect meal for the road! 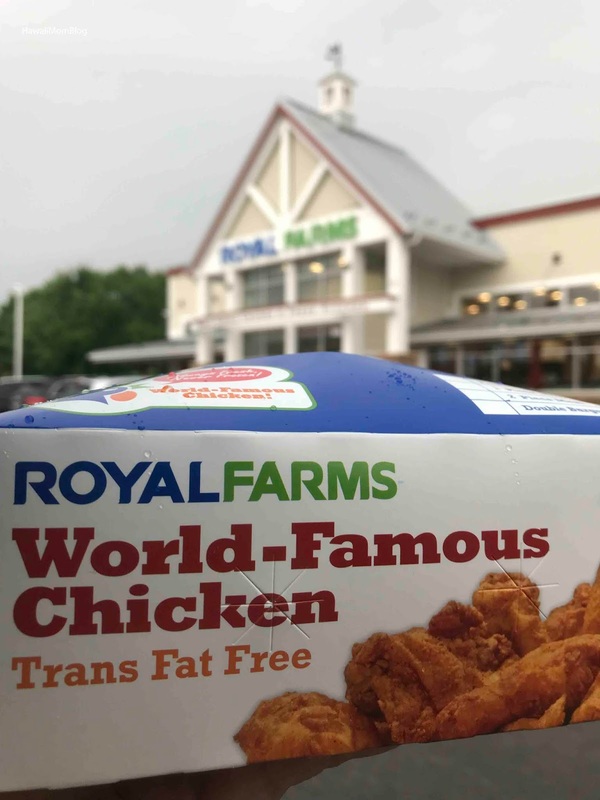 If you find yourself at a Royal Farms and you're questioning whether the "World Famous Chicken" sign is just a gimmick - it's not. The chicken really is famous, and it really is good!